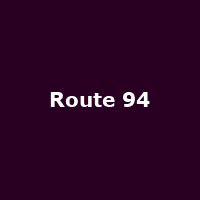 Route 94 is British DJ and producer Rowan Jones from Richmond in London. The Rinse signee has worked with the likes of Skream, Benga and Katy B. In 2014 his debut single "My Love" (featuring Jess Glynne) went to the top of the UK charts, knocking off Pharrell Williams' "Happy" in the process.